The Big Ten may be a year away but there is plenty of quality action to be witnessed this college football season on Fox and on FS1. And with that in mind, we now have the announcers crews that Fox will utilize this fall, with some changes. Let's take a look. 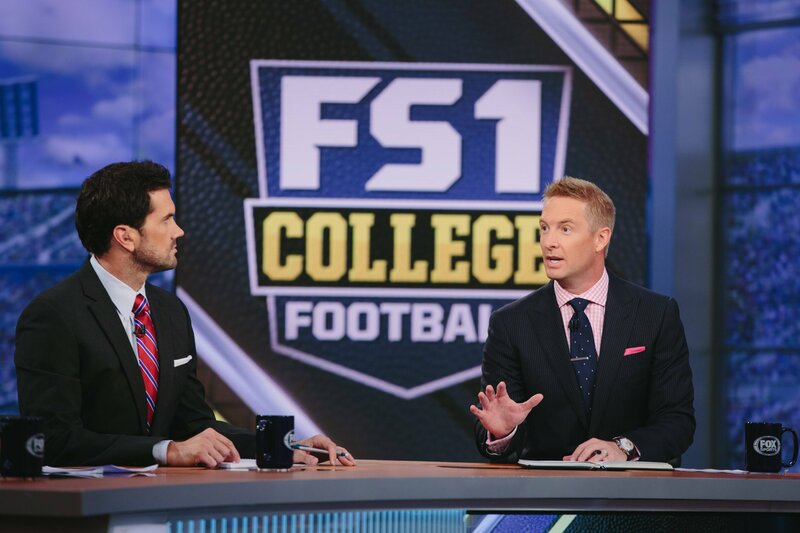 Returning in the studio will be the host Rob Stone and his analysts Matt Leinart, Dave Wannstedt and Robert Smith, who joins after many years at ESPN. Chris Spielman, also joining from ESPN, will serve as a contributor while Bruce Feldman and Stewart Mandel will serve as insiders. And as always, the rules analysis will be provided by Mike Pereira. What about Clay Travis? Why did they get rid of Eddie George? Where is Joey Harrington as well on this list? Thought he also announced games for Fox Sports for FS1? It is a shame that Gus Johnson, Tim Brando and Spencer Tillman do not have jobs announcing for the NFL on Fox. They are not calling the best college games like on CBS or ABC/ESPN and Fox would be wise to add them to a NFL on FOX roster that needs better talent at its depth chart. Would like to see Gus Johnson on the NFL on FOX. He should be on three team or four as the play by play announcer. While he calls the top college games for Fox it seems like he should be on the NFL on FOX, where there would be more viewers if he was on a higher ranked team. Sam Rosen also fills in for Brennaman when he fills in for Buck when he is calling World Series games.